You are here: Home / Amazon deals / Amazon: Trident White SugarFree Gum Spearmint as low as $.46 per Pack – Shipped! Amazon: Trident White SugarFree Gum Spearmint as low as $.46 per Pack – Shipped! 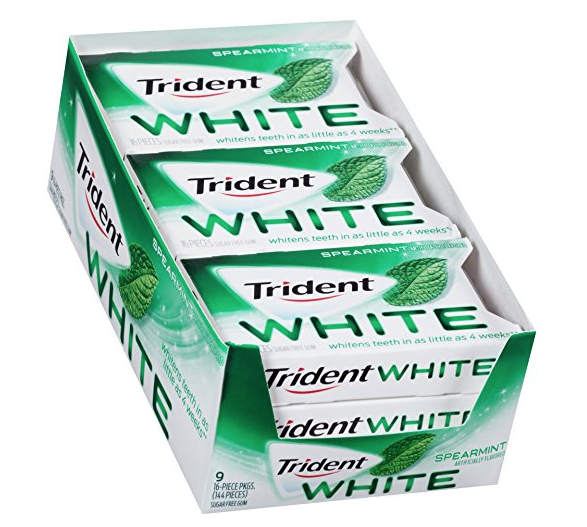 Amazon has Trident White SugarFree Gum Spearmint (12 ct) for $6.18 right now after Subscribe & Save ($0.51 each). Even better, if you reach 5 Subscribe & Save orders this month, you’ll pay as low as $5.53 ($.46 each). Your total after the coupon and Subscribe & Save will be $6.18 and shipping is FREE.